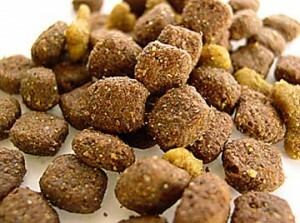 Great health for your dog starts with making dog food at home for proper digestion. And good digestion relies on the right dog enzymes in the right amounts being at the right place at the right time. This may sound complex which it is and another example of just how intelligent the canine body is. As your dog ages he or she will become more challenged by various forms of stress, environmental pollution, chemicals such as veterinary drugs and the regular use of pet meds like flea collars, drops, dog shampoo and high on the list of intoxicants, the additives in commercial dog food. All these deplete your dog’s body of its natural ability to make enough enzymes to meet the demands of daily life. Your dog’s body needs enough enzymes to function properly. Not only does he or she need them for healthy digestion, but dogs also need them to live as without them your dog would not be able to breath, swallow, drink or digest the daily meal. So what are enzymes and how important are they to our dogs? Enzymes are very complex protein molecules that are manufactured by all plant and animal cells. Enzymes are very important because they break up large food molecules into smaller units that are absorbed into the cells. Enzymes work with your dog’s body to assimilate nutrients from proteins, carbohydrates, fats and plant fibers. They also assist in all chemical reactions taking place in the body especially regeneration of cells and eliminating waste products plus full immune system support which is vital to your dogs overall wellbeing. As you see dog enzymes are the movers and shakers of the body. According to Dr. Edward Howell, pioneer of Enzyme Therapy: “Enzymes are substances that make life possible… Without enzymes, no activity at all would take place. Neither vitamins, minerals, nor hormones can do any work without enzymes”. So basically the bottom line is that without proper enzyme function your dogs body is compromised therefore his health is compromised and his immune system is compromised which leads to disease and a shortened lifespan. Do dogs have an infinite supply of enzymes? Simple answer-no. Nature being the infinitely clever being that it is created a situation whereby your dog’s body creates a portion of the enzymes it’s self and the balance is introduced by way of nutrition, basically what your dogs eats. Dog food enzymes – why you must be making your own dog food? Because of our modern fast paced society with its preoccupation with convenience, and the reliance on ultra convenient commercial dog foods in cans and packets, the result is high chemical pollution and overly processed additive laden foods, all of which create a lot of free-radical damage in your pets body. This creates a process of accelerated ageing. This process of free-radicals lowers the body’s natural ability to produce enzymes and meet its demands to function well. And this is why the national average age of dogs in the US, UK and Canada is just 12.5 years before they die. Now you may think this is normal having gotten so used to that timeline, however it has been scientifically established that dogs have the genetic potential to live into their late 20’s! And so viewed against these statistics one can immediately see that dog’s lives fall way short of their potential. Can anything be done to help our dogs live healthier and longer? Yes-but first let me describe the different dog enzymes and what they do so you can understand just how important they are and how critical it is for you and your pet. Digestive Enzymes, secreted by the stomach, pancreas, and the small intestine help break down food into simple components. Food Enzymes exist naturally in raw food. If the food is cooked above 47 degrees Celsius, the high temperature in the cooking process destroys the enzymes. Digestive enzymes and food enzymes serve the same function; they digest the food so it can be absorbed into the blood stream. The difference between the two is that food enzymes are derived from fresh, raw, uncooked foods such as fruits, vegetables, eggs, raw unpasteurized dairy, meat and fish, whilst digestive enzymes are made inside our body. Metabolic Enzymes are produced in the cells and are found all through the body in the organs, in the bones, the blood, and inside the cells themselves. Metabolic enzymes help run the heart, brain, lungs, and kidneys. Hundreds of metabolic enzymes are necessary for the working of your pet’s body. For this discussion I’m going to concentrate on one particular enzyme called protease. This enzyme breaks down protein found in meats, poultry and fish. This enzyme is important to our dogs because it’s the one they naturally rely on to process their natural ancestral diet which is based on the consumption of raw meats on the bone, organ meats with a small addition of plant based nutrition. Now, can you see the problem coming into view? 96% of the dog or cat owning population feed their pets with canned or kibble food which contains little to no actual meats (despite label and advertising claims-more later) and has been cooked above 47 degrees Celsius which means the food is actually dead! 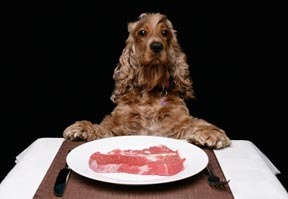 And because it contains no enzymes as they were destroyed in the cooking process, plus the added toxin levels from various questionable additives, you can begin to see why dogs only live to 12.5 years on average with many suffering a miserable existence some years prior to their demise. How the problem, behind the problem destroys your dog’s life one day at a time? You see, for starters and unlike human food laws and controls regardless of efficacy there are no laws controlling animal foods. At best there are animal feed industries guidelines which as you can imagine do not sit high on the list of priorities where profits are concerned. Those adverts on the TV, billboards, in the papers and magazines or on the web are designed to do one thing, convey sub-conscious suggestion through the use of heartfelt images, slogans and sounds so that you buy the products. They have perfected this sleight of hand to the point where the general public now believes that feeding their hapless pet from a can or packet is a natural normal accepted practice and that it’s backed up by the veterinary profession seals the deal. Very few people can now consciously peel away the disinformation to reveal a pernicious practice based solely on profit and not your dogs welfare. Let’s take one organ in your dog’s body in particular – the liver. The liver is a primary cleansing organ and one of the most important elements creating healthy and long life. Among other important functions it rids your dog’s body of toxins. 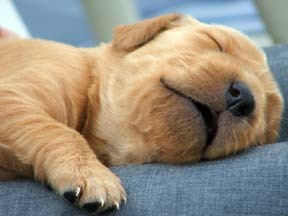 In order to function normally the fewer toxins introduced into your dog’s body the better. However, by feeding heavily toxin laden commercial dog food to your dog you are inadvertently creating a foul environment in your dog’s body. In essence your dog’s body becomes a sewage treatment plant that the primary cleaner, the liver, can never get clean! Dog Liver Enzymes – Here’s how it goes downhill from there? Please, please, please tell me that the ingredients list above will do anything more than speed up your dogs death sentence (never mind heal liver complaints)? And the long term effects on dog DNA as a result of so many generations of dogs exposed to this practice of feeding will continue to weaken the gene pool and shorten dogs life spans as a species. Dog Supplements – OK, here’s a scenario we have all been through? 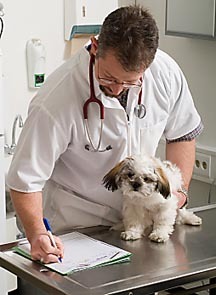 You visit the vet with your dog either for a checkup, vaccination or because your dog has a problem you want solved. Ok, so in this instance it’s a problem, what does the vet do besides write out a prescription for meds….? Yes exactly, he recommends a certain brand of dog food or dog supplements that apparently is made for just the problem your dog has or at least aids in recovery in some way, just like the liver example above. Think for example of dog enzymes probiotics. You may think, great that will help, but giving your dog digestive enzymes when it’s ingesting commercial additive laden dog food is like pouring a bucket of water on a bush fire and another chunk of change just left your wallet for nothing! And the most obvious is that without enzymes your dog’s life is so heavily compromised along with additive related toxins in commercial dog food that it will die by 12.5 years old (when it should live into it’s 20’s) and with degenerative diseases along the way which gets expensive and painful. Vets in general are not nutritionists or know the slightest thing about canine nutrition! They may pontificate (something they are good at) and work their superior status and knowledge about dogs onto you as the ignorant being that you are in this regard but the fact remains when it comes to nutrition for dogs, they know next to nothing. Vets sell commercial dog food from their practice which undermines their objectivity and brings into play conflict of interest. Once again we have the all too prevalent situation of profit over people or in this case profit over pets… you’re pet who is incidentally a member of your household, or child in furry clothing as I’m so often reminded. Now just to back pedal a little. Because the enzymes in commercial dog food are effectively denatured i.e. they become inactive from the heating process, they are rendered useless to the digestion process (breaking down food process). This leaves your dogs body to do all the work it’s self with its own limited supply. And no matter how hard it works to supply enough enzymes to the digestion process, it’s never enough and the balance is thrown off every single day commercial dog food is ingested with the knock on effect of compromising the immune system (the body’s defense system). Because there’s never enough enzymes to work on replacing worn out, damaged cells and tissue to keep the immune system strong , disease finally breaks into your dogs body to begin chronic (over a period of time) disease like cancers, urinary tract infections, tumors, ear infections, various allergies, depression and many more examples. Your dog’s body’s top priority is making sure it has enough nutrients to run its systems. This means digesting food and converting it into nutrients. There is no activity more important to your dog’s body than this. This takes a lot of energy and enzymes, particularly if your dog must make most or all of these enzymes. Remember that no food can be digested without digestive enzymes, and they are destroyed above 47 degrees Celsius. No wonder many dog owners complain of their dog’s lack of energy, runny stools and dry itchy skin. Luckily for us there is a simple answer and that’s to feed your pet a diet rich in enzymes. And that diet consists of feeding your dog it’s age old natural food, the food your dog was evolved to eat many millions of years before humans came along with nifty ideas on feeding dogs artificial food from cans and packets, a raw food diet for dogs based around various meat-on-the-bone, some organ meat and a little vegetable based extras. This feeding practice creates an altogether different outcome in your dog’s body. Once started, the benefits are almost immediate and obvious, especially to your dog. I’ve witnessed time and time again the instant buzz a dog gets when ingesting a full complement of enzyme rich raw meat on the bone based food. The effect is an overwhelming sense of well being that outwardly shows it’s self in a kind of “victory lap” scoot around the immediate vicinity as your dog is filled with victorious energy, elation and a euphoric buzz, really, there’s nothing quite like it. Think about this next time you feed your Chihuahua some kibble and instead toss in a raw chicken wing and observe the difference? Improve your dog’s digestion and you improve her health, it’s that simple. Commercial dog food is 100% void of enzymes and therefore as I have demonstrated leads to premature ageing, disease and a protracted death sentence. It’s up to you to change things and accept this real life situation stood squarely in front of you. You can continue what you are doing in the knowledge that your dog will suffer, it’s just a question of how long her immune system can continue to hold out or you can embrace change for the better and help your beloved companion, friend and child to a life that is longer lived, healthier in general and so very much cheaper on your wallet. I have found over the last 45 years of being involved with raw feeding practices that there are two kinds of people. One kind will pick this up and do something, they hold a very conscious active love for their dog or cat and want the best so will embrace the change with thanks for finding out now while there is still time to do something. 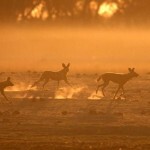 The other kind of people will read this article and immediately allow their ego to take center stage (called cognitive dissonance) so it can dismiss the information by way of logical or illogical argument based on long held beliefs that must be held onto even at the cost of their dogs life, so they can continue in their rightness, laziness or just plain dogged determination to be right. This is sad but true and goes much deeper than can be explained in this article. The point is, what are you going to do with this life-in-your-hands situation? Making homemade dog food with raw ingredients means the right enzymes become part of the building blocks of life and they are needed every single day in rebuilding and maintaining lean muscle tissue, regenerating organs and glands, synthesizing hormones, regulating your dog’s brain chemistry, and supporting his immune system. The cans and packets of commercial dog food contain none so clearly they are off the list which leaves raw food for unmatched health. In my book “Real Food For Dogs” I detail a simple step by step plan to feeding your dog a raw food diet. I like simple, I Like convenience and so my raw food feeding is about as simple as it gets but the overwhelmingly positive results mean my dog and so many other owners’ dogs I have helped over the years are living proof of the power of enzymes. Making dog food gives you the control you need to affect the outcome of your dog’s life and be the nutrition expert for your dog. Don’t give that power away to some vet, take responsibility, take action, take control and trust the process… it works 100% guaranteed. For more help with understanding the biologically appropriate diet for dogs, get the free report below. 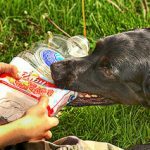 Feeding Raw Dog Food-Why Do it? From last night just mixed organ raw meat for Annie, epi dog, her doo the morning was the best yet ever since 4 1/2 months ago less volumne too. Does it mean that she is absorbing nutrients now? Will see what the whole chicken wing that she ate this morning, what her doo will be like. I have been feeding Annie just raw mix organ meat in between, 1/2 C worth of meat with blanched green veggies+apples blended together(2tblsp) 3-4xday. How about her gaining weight, how long will it take? I never used prescription enzymes, its too expensive, vet suggested fresh raw pork pancreas mix with other organ meat. That was a lot cheaper too. Should I continue the Vit B12 shots(I do it myself) to help her absorb nutrients? Hi Maria, how’s your dog getting on? I recommend you try out some raw green tripe as it’s well balanced, full of enzymes, easily digested and contains natural probiotics that will help your dog. Hi Maria, You’ll need to move slowly with her, adding in a little raw food with meals until completely off the kibbles/raw mix. Also try her on raw grren tripe as it’s well balanced and easily digested. For your Westie try searing the surface of the meats in hot butter to seal the surface but leave inside raw. Let me know how this works out. This makes me wonder if it is a good idea to buy an enzyme supplement. I have been using Mercola Probiotics and Enzymes for about 3 weeks and all 4 of my dogs are doing fantastic on them. I even ordered from Mercola the probiotics and enzymes for us and great products. My partner loved it so much he had me order more just the other day. Aren’t enzymes something that everyone needs? I am very curious about this kind of stuff now that I have two puppies and I want them to be as healthy as they possibly can be. I will bookmark your page so that I can return at short notice and see what else you have posted. Keep up the good work you have a very educational post. Hi Lacey, yes they are and fast food has none. Thanks for commenting and your support, means a lot. Hi Karen, if your dog is healthy from a balanced fresh raw food diet, enzymes are not needed as they are already in the food. I just give them the dry food from the vet cause my children and my husband don’t let me give raw food and the reason is I tried and cooked for them a few months ago and they got sick also I gave them raw food some times and the past and they get diarrhea . So I don’t know how to start. Please let me know how to do it and thank you so much for your help . 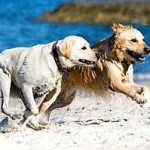 Hi Katia, I understand your frustration and love your determination to have great health for your dogs… your furry kids! hello, i have a 14month old boxer mix who has lost weight, always hungry and has all symptoms of EPI. i started enzymes on her foor a week ago. It has helped her diahrrea, now her stools are solid. how long should it take till she gains weight ? i feed her home made food, chicken breast or beef. some rice, and veggjes. add a bit of yogurt as well. Hi, my Ruby is 4 yrs old she has EPI and has been on enzymes for 2 yrs . She wants to eat more than 1 cup at a time and I let her because I am afraid she will lose weight again. This way if she gets sick she will have extra padding. I know that’s wrong but she was so tiny when she was sick.i tried the raw meat diet and she or her brother wouldn’t eat it. I ended up cooking the food for them. I see you say give them a raw chicken wing but I was always told no chicken bones. 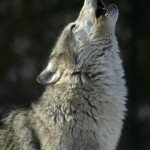 Hi Teresa, good decision and no halfway house with me, just a good quality raw diet with a few supplements to balance. The stones are from kibbles fed over time and salting up the urinary system, causing stones and more as you found out. This is largely from dehydration and chemical additives in the kibbles. 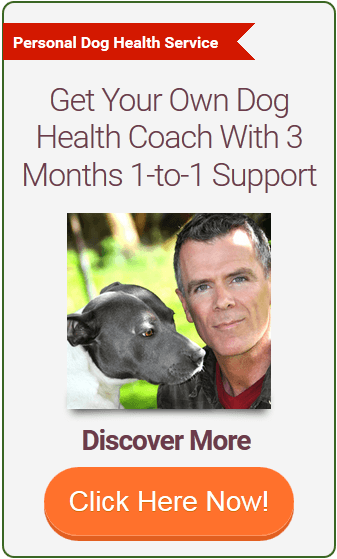 If you want personal coaching to get your dog back into peak health, I have a service for this at http://healthydogforlife.com/real-food-for-dogs-book-and-video-program-by-dan-scott/ that may be what your looking for. Hope that helps, Dan. 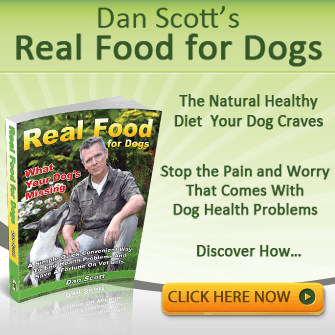 Dan – have not read your book but would you advocate for a vegan diet for dogs with proper supplimentation ? Hi Kathryn, Dogs are generalised carnivores and need meat like we need vegetables. I don’t eat meat but my dog does. Thay do need some meat in the diet to be healthy and there’s no supplementing around this.